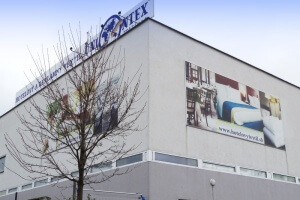 Company Uniontex Trade, established in 1991 as a Slovak-German joint venture covering the needs of the German market, dedicates itself to producing and delivering complex solutions in the area of the hotel textile industry. Factors, such as challenging expectations, advanced technology and know-how, positively influenced the consequent company´s development, with the emphasis laid on cultivating its expertise and extending the hotel textile product range. To manage the requirements of a wide range of goods was and is still possible only by ensuring the sufficient production capacities, by opening of own sewing workshops, of which cutters, seamstresses and operators produce daily hundreds of duvet covers, sheets, tablecloths, skirtings, bedspreads, pants or aprons according to customers orders. In all stages of company development was confirmed that the deep knowledge of the market is the largest capital and advantage. 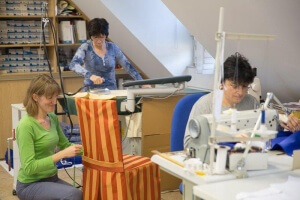 What the customer needs, it is usually on the stock of finished goods or on the stock of fabrics, from which we can produce the required products in our own workshops. Service and fast delivery times have become duties. We realize, that we can be successul only when our customers are satisfied.